The State Bank of Pakistan has escalated the rate of main policy by 150 basis points. This means that the interest rate in the country has now reached 10% from 8.5%. The rising inflation is one the major reasons behind the increment of interest rate. However, the decision was already predicted by economists as the Rupee value hit the record low against US Dollar. In this article, we will discuss the impact of this latest development and will explore the expected market behavior of the real estate industry in Pakistan. With the rise of interest rate, people tend to sell properties and deposit their money in banks as bank paybacks more profit on saving accounts. If the market sees the selling of property on a larger scale, the prices fall as the massive sales essentially cause the capital flight. On the other side, people get fewer profits on their saving accounts when the interest rate decreases. Therefore, people withdraw money from banks and invest in the real estate market. This shifting cause the investments in the real estate sector increased and this eventually leads to an increase in property prices. 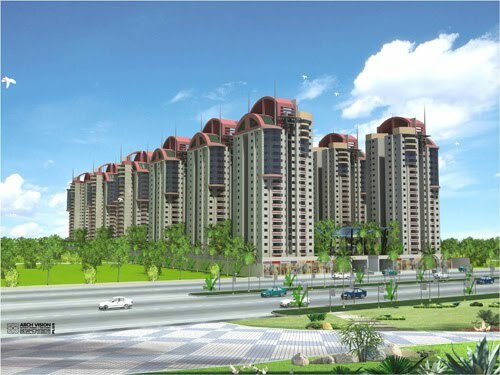 Since the beginning of the 21st century, Pakistan has seen a couple of real estate booms. The first one was from 2003 to 2006 and the other one was from 2013 to 2016. The key reason for both of these booms was that the interest rates back then were at their lowest record, which is 7.5% and 5.75% respectively back then. The country is suffering from severe price crash due to government’s initiative of cracking down on black money, non-filer buying limitations, launching of Naya Pakistan Housing Programmes and NAB’s inquiries about illegal housing projects. The real estate dealings are at their lowest and many agents are closing their agencies due to record low incomes. Its rare in Pakistan to find a filer buyers that’s why sellers have been forced to reduce the property prices. The recent property prices in Pakistan are 35-40% down from the boom of 2016. The latest development of increasing interest rates will further endorse this price fall in the coming months. Pakistan Property Prices are 35-40% down from the peak of 2016. All these events are essentially directing our market towards a similar price fall faced by Dubai where prices were fallen by 75%. Basically, our economy is addicted to black money, therefore, any action against black money can hurt the property prices as much as it did in Dubai.